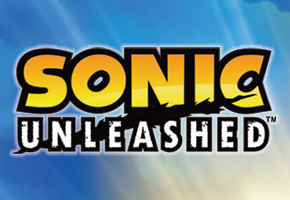 Massive overhaul of Sonic Unleashed website cracks Sonic’s world wide open. 8 stage names revealed. Yesterday I mentioned the Sonic Unleashed hype getting up to speed. Today it breaks the sound barrier as Sega have unveiled a massive overhaul of the Sonic Unleashed website and it’s very pretty indeed! The US and UK websites are identical on first glance but while the music on the US site is “Endless Possibility” the UK version has some epic sounding event music that’s never been heard before. After a brief loading screen that gives you time to notice that Bowling for Soup have managed to get a link to their website at the bottom of the page, the website opens up proper with a rotating 3D image of the world after being town apart by Dr Eggman! The globe can be rotated Google Earth style revealing the location of some countries flags. 8 levels appear to be on the map thus far revealing the proper names for 8 levels in the game. ‘High Europe’ becomes Spagonia, a take on Italy. The recently revealed Middle Eastern level is called Shamar. And Holoska is the ice level. The different flags lead you to different parts of the website offering a look at screenshots, movies, concept art, character details (including badnicks), game info and more. The website is also literally split in two with a day and a night. Click on the sun and the moon to flick between the two. Rather obviously with the sun selected all the information is about Sonic and the daytime levels. Click on the moon and it’s about the Werehog and the night time levels. Overall it looks like Sega have put in some hard work on the site and there’s plenty of scope for things to be added in the future with lots of areas blocked off with a ‘coming soon’ notice. Should anything significant appear on the site you can count on TSSZ News to cover it and if you notice anything added before we do, leave us a news tip like sonicsmashkirby did to tell us about the website redesign in the fire place.